Juicers now celebrate National Green Juice Day every January 26th of the year. The practice began in 2016 as a way of encouraging people to abide by their health and wellness resolutions. Why is juicing good for you? Juicing has turned out to be more than a fad because freshly-squeezed juice is deemed effective in cleansing and shedding off extra pounds. Juicing advocates claim it works better than consuming fresh fruits and greens. The reason is our bodies can easily absorb nutrients giving the digestive system enough respite from working on fiber. Those who opt for juicing say it helps reduce cancer risks, facilitate digestion, support the immune system and aids in removal of toxins from the body. Let’s accept that it’s practically impossible to eat several pounds of veggies and fruits daily. Juicing makes it possible for us to do so since the process entails taking out the extract. It also leaves out the pulp, directly introducing nutrients to the bloodstream. You can eat more vegetables by drinking without feeling bloated with too much fiber and taking in more nutrients in the process. With juicing, the stomach doesn’t have to absorb all that fiber. Ultimately, you consume more veggies and fruits effectively. A recommended ratio would be 80 percent of vegetables and 20 percent of fruits. The body requires between 15 and 25 grams of sugar that you can obtain from other sources. Here’s a bit of challenge. Beginners may find it difficult to drink juiced greens because the taste is not very pleasant. You’ll need some time to get used to the flavor. What is the difference between juicing and smoothies? The keyword is fiber! Juices contain very little fiber. Smoothies, on the other hand, have plenty of it. Juicers leave out much of the fiber leaving the juice and pulp. With smoothies, you put all ingredients in one container and blend them together. You consume all the blended vegetables and fruits to include the fiber. Green juice drinks can help in the body’s cleansing and becomes even more effective if you drink a lot of water and consume fresh foods. There are several green-centric approaches in celebrating Green Juice Day. The idea is to drink a healthy green juice beverage. One is to try mouth-watering green-juices that celebrities concoct and drink. Take a look at five selected celebrity recipes. Michelle’s Leafy Green Goodness supplies effective nutrition with her easy to blend fresh green tart apples with low sugar content. Debbie has a Green Elixir made up of neutral greens (cucumber and celery) together with sweet apples and beets. 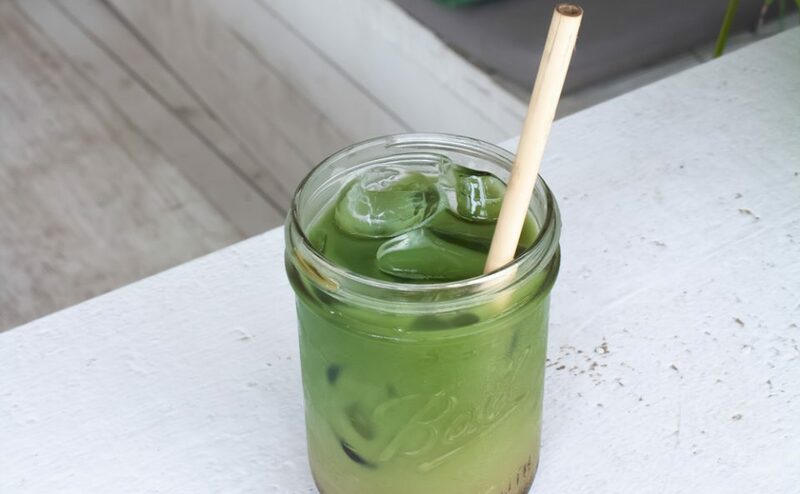 This green juice is a well-balanced beverage. Gwyneth likes green juice filled with antioxidants and calcium. Her Best Green Recipe is more effective than coffee in the morning because the drink energizes her completely. Celebrity facial expert Joanna Vargas loves Green Juice. According to her, greens immediately hydrate the skin and encourage lymphatic drainage which leads to a radiant and de-puffed complexion. Live, Eat, and Juice as celebrities do. You can look forward to infusing a wholesome regimen just like them.